Click here for news on upcoming workshops. 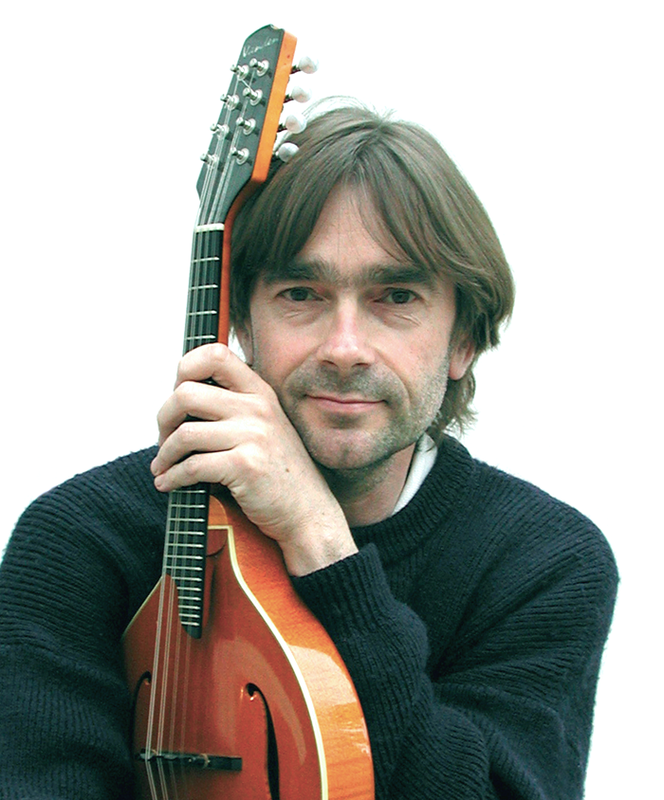 Although Simon doesn’t offer private tuition, he is happy to offer mandolin workshops. For the most part these are tied in with a concert, either with Hilary James or The Mandolinquents. The workshops can be short; for example, the 2014 BMG annual rally saw him teaching a one hour session on playing by ear and improvisation. At the other extreme, they can be a four day course, as in his regular visits to Goderich Celtic Roots College and Festival. 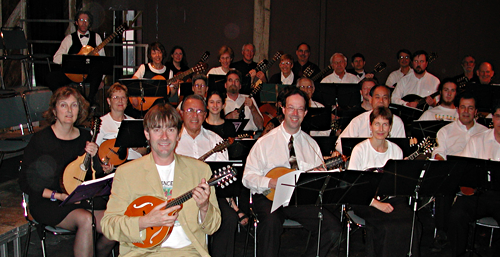 – A sound mandolin technique – get rid of those bad habits! – Ensemble playing for all levels. Numbers are usually limited to about twenty, although this can be greater when the emphasis is on ensemble playing. 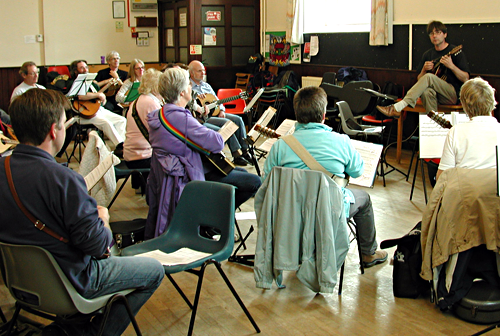 Simon is experienced in accommodating different abilities within the same group and in fact has many ensemble pieces arranged with at least one particularly easy part so that even near beginners can join in a performance.